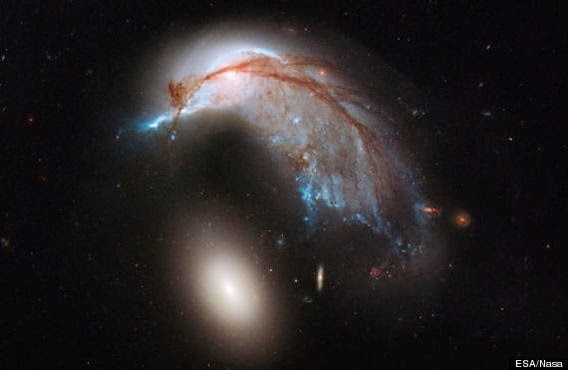 The NASA's Hubble Space Telescope and European Space Agency produced this image of two galaxies identified as Arp 142 that muscularly look like a penguin protecting an egg. What is really happening is enormously violent, as the two galaxies rip each other apart. The galaxies are about 326 million light years from Planet Earth in the constellation Hydra. See a large version of this image here.